You can make the power supply Speedy. 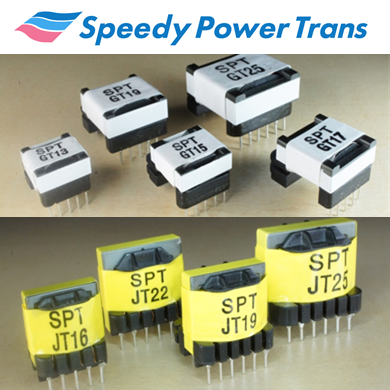 SPT stands for “Speedy Power Trans”, and we will supply power transformers with optimized design for each manufacturer’s power-supply ICs in a short time. characteristics, conducted EMI, temperature rise test, etc. are prepared. ■ Core connected to the primary side to reduce the EMI level. ■ All SPT is UL 1446, 130 class recognized components. * SPT each model 2pcs/set: USD98.00. From the following search tool, you can select a transformer with optimized design to the selected IC.